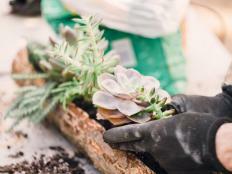 If you are looking for a tried-and-true, no-fail, best soil for succulents, there is one thing to know up front: No two longtime growers of succulents use the same succulent potting soil – it’s like trying to get great cooks to guarantee the best home-made biscuit recipe; even though they use the same basic ingredients, each has a slightly different twist that they swear by. And most of them work just fine. 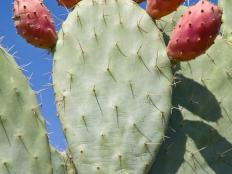 Think where succulents and cacti are native, generally arid places with little seasonal rainfall. 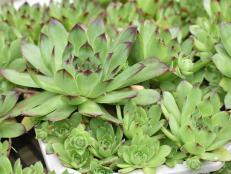 Succulents have adapted to getting by with little water at a time. Their roots are very efficient at absorbing water quickly, and their stems and leaves are able to store this water for weeks or months at a time. Think dry deserts, barren mountainsides with scarcely anything but cracks filled with weather-worn grit, and bare branches of trees at the edges of jungles. 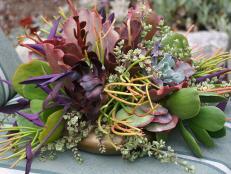 In most places, soil for succulents has to be made a little different from garden soil, or they will simply rot. Succulent soil has to be able to support the plants physically, hold a little moisture and nutrients, yet drain perfectly so excess water, especially in rainy areas won’t cause plants to rot. 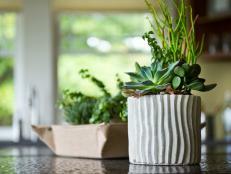 What you may use in the garden for hardy landscape succulents will likely vary a lot from what you use in containers. 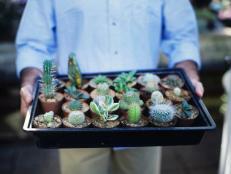 And experts often mix slightly different succulent potting mix to better suit different types of plants (cold-tolerant Alpine, tree-dwelling epiphyte, or true desert), tolerate local weather conditions, their desire to water (or not), and even container size. Here are some basics, and a few suggestions for getting started on coming up with your own. 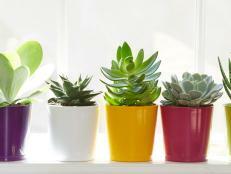 For the best potting soil for succulents, start with a basic cactus and succulent soil mix, or even an African violet mix, available at most garden centers. 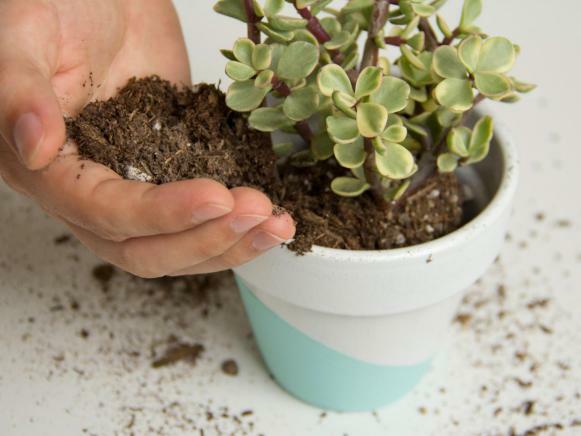 Then add some extra ingredients to find the one that will make watering easier, improve the drainage, and hold up a long time without compacting. 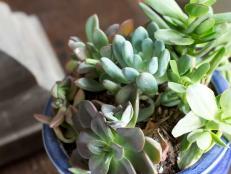 A main ingredient of any potting mix for succulents will be organic matter. 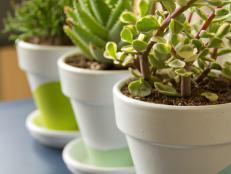 Peat moss, the main ingredient in most potting soils, is hard to wet and then dries out quickly. By adding a little finely ground bark, water will penetrate more quickly. For home-made mixes, a great substitute for peat moss is coir, which is fibrous shredded coconut husks and is very slow to decompose. Unlike peat, coir is easy to wet when it dries out. Compost can be used as well, though it decomposes very quickly. The other main ingredient is an inorganic substance that allows water to soak into and then drain out of soil quickly, keeping the mix crumbly and airy. There are several good choices, all better than coarse sand, including perlite, crushed granite, pumice, chicken grit, calcined clay used to improve aeration and compaction in turf fields, or non-soluble cat litter. Any of these will dramatically increase drainage and won’t break down as the organic material slowly decomposes. Start with half organic potting soil and half inorganic fluffy material. 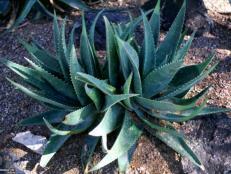 Add less of the drainage ingredient for small succulents such as Aloe, Crassula, Sansevieria, Sedum, and Sempervivum; add a little more for agaves, yuccas, and true cacti like Opuntia. After mixing your ingredients together, wet some of it thoroughly, then squeeze it into a ball in your hand. If it compacts and sticks together, it won’t drain as well as your plants need, so add a bit more of the inorganic drainage material, testing again until the wet mix crumbles easily when you stop squeezing it. Again, no two gardeners will have the same mix, and yours will probably change over time. But you certainly won’t go wrong with this basic approach.